Smoothie bowls are my jam! Thanks to Rootz Nutrition for this AWESOME paleo protein superfood, I now have a new favorite smoothie bowl combo! 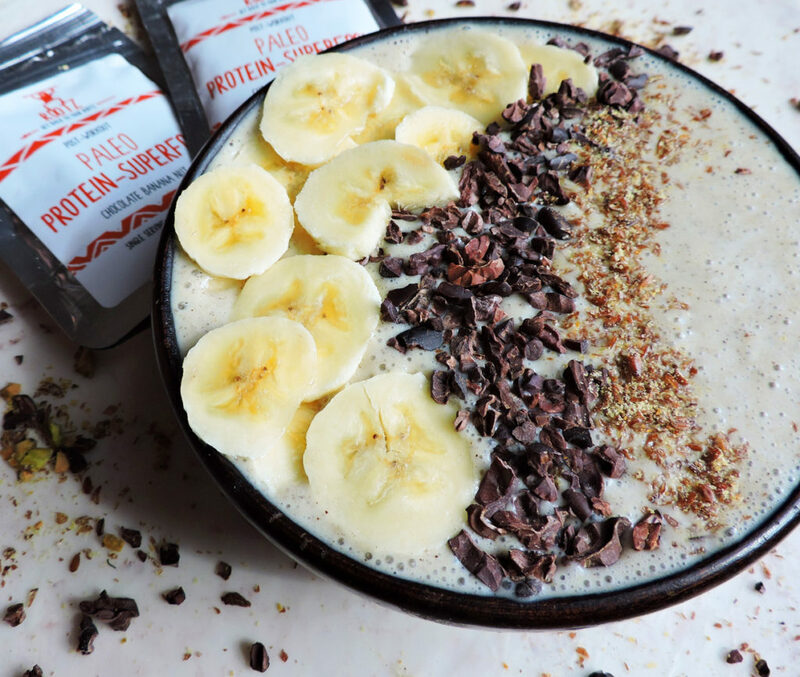 This Chocolate Banana Nut Smoothie Bowl is the perfect post-workout meal! And guess what, y’all?! I have a sweet discount code to use on their site ‘BeautifulEats10’ Get yours today! So I’ve really been into smoothie bowls lately! It’s almost like I’m addicted! I love putting together new and exciting combos and adding fun toppings! 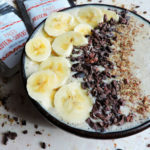 This Chocolate Banana Nut Smoothie Bowl is seriously my new fav! 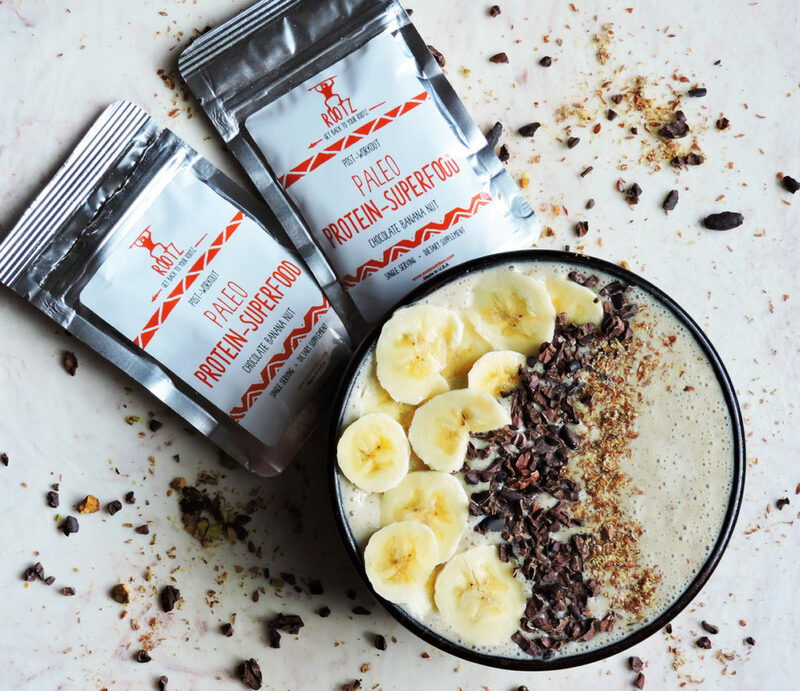 It’s no secret that I’m obsessed with chocolate and banana, so I was thrilled to see there was a chocolate and banana flavored paleo protein supplement! No, I do not follow a “paleo diet”, but I am very sensitive to certain protein powders/supplements. Most protein supplements contain milk, soy, and other ingredients that don’t always agree with me. Because of this, I usually stay away from most protein supplements or pre-made protein drinks. This was the FIRST protein powder that did not upset my tummy! And did I mention that it was sooo tasty too!! 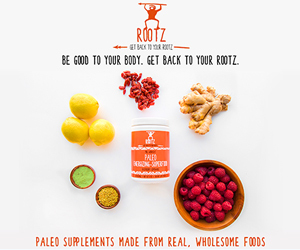 From my own personal experience, if a protein shake tastes really good it usually contains ‘hidden’ ingredients like additional sugars, artificial materials, etc… The products from Rootz Nutrition do not contain any ‘surprises’, just goodness and wholesomeness! Lol! Try it for yourself. Head over to Rootz Nutrition and be sure to use my coupon code, BeautifulEats10, to get a special discount!! Pour into bowl and top with your favorite toppings!